Stephanie recently appeared as 'Cynthia Weil' in Beautiful: The Carole King Musical (Aldwych Theatre, West End). 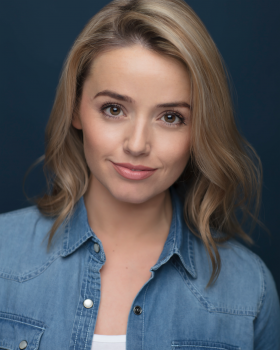 Stephanie is an Irish actor/vocalist/voiceover. She trained at Trinity College in her hometown of Dublin. End debut performing the role of 'Natalie' in the original cast of The Commitments, directed by Jamie Lloyd. Bill Bailey, Tim Minchin, Michael Bloomberg and President Mary McAleese. from Elaine Paige who has played it on her popular BBC Radio 2 show.